From heavy industry to high art, Swansea Bay’s story defies easy categorisation. Trace a line from the distant past to the present day and you’ll find tales of legendary kings, opera stars, industrial innovations, poetry, painting and even the odd heroic pet. 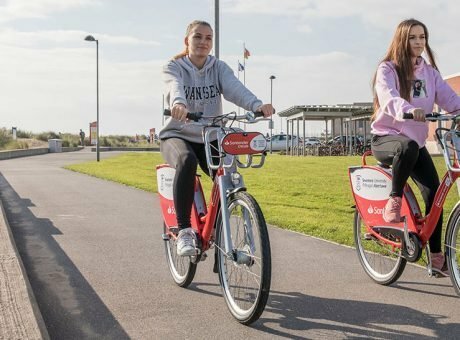 You’ll hear of Swansea as the heavy metal heart of the global copper business and the inspirational birthplace of Dylan Thomas, one of the 20th century’s most celebrated writers. You’ll find amazing spaces too like historic Brangwyn Hall with its larger-than-life artworks, and Penllergare, a lush woodland where nature has been given a gentle helping hand. 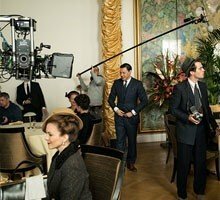 And you’ll get a closer look at our stars of stage and screen, from Oscar-winning actors to fabulous filming locations. Finally, complete the package with swell surfing beaches, peerless piers and marvellous museums. A local lad whose way with words took him around the world, Dylan Thomas remained a Swansea boy until the end. However far he travelled, he always acknowledged the inspiration he drew from his home town. As he put it himself, ‘If Wales is a country of song, Swansea is a city of poets.’ Insert yourself into the story of Dylan’s life with a visit to his childhood home at 5 Cwmdonkin Drive and a wander in leafy Cwmdonkin Park. 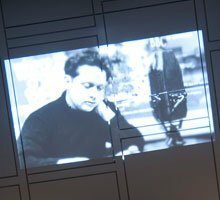 Get even closer at the ‘Love the Words ‘ Dylan Thomas Exhibition, where you can hear the man himself reciting his poems in that unmistakably rich, rolling voice. 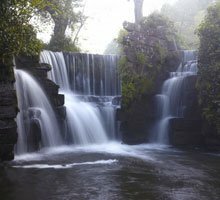 For proof that it’s possible to improve on nature, take a stroll in wild Penllergare. This seemingly untamed patch of woodland – nestled in a steep valley on Swansea’s outskirts – is actually a designed landscape, the brainchild of Victorian landowner and botanist John Dillwyn Llewelyn. Recently restored to its former glory, Penllergare is a fitting tribute to its creator who, along with his interest in botany, was also an accomplished photographer, children’s author, philanthropist and High Sheriff of Glamorgan. 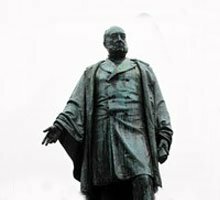 Head to Swansea’s Shopping Centre and you’ll come face to face with a striking bronze statue of metal magnate Henry Hussey Vivian. During the 19th century, 90 percent of the world’s copper was smelted in the Swansea Valley, earning it the nickname Copperopolis. Vivian’s Hafod works was the largest in the world, employing more than 1,000 people at its height. On second thoughts, maybe that statue should have been made of copper? Size really does matter when it comes to these expansive artworks. 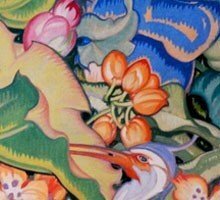 Hanging in soaring Brangwyn Hall, the 16 massive murals were painted for the House of Lords in the late 1920s and early 1930s by artist Sir Frank Brangwyn. When they were rejected for being too ‘inappropriate and exuberant’ we were only too happy to step in and give them a home. 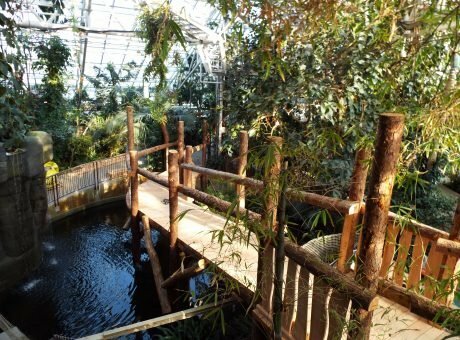 Exploding with lush jungle and forest scenes packed with exotic animals and colourful plant life, Westminster’s loss was definitely Swansea’s gain. She may not have been born here, but Spanish singing sensation Adelina Patti was definitely one of us. Patti’s voice made her a globe-trotting superstar, but it was the upper Tawe Valley where she made her home. She bought the brooding Victorian-Gothic Craig-y-Nos Castle in 1878 and lived there until her death in 1919. A good friend of her adopted home, she donated her winter garden pavilion to the city of Swansea in 1918. 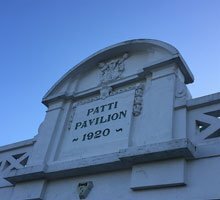 Now a venue and function hall known as Patti Pavilion, it stands in Victoria Park overlooking the bay on the Mumbles road. Maybe we’re show-offs, but it seems like our area produces more than its fair share of acting legends. Port Talbot just down the road is the birthplace of a roll call of international stage and screen stars. The industrial town was home to 60s icon Richard Burton, the chameleonic Michael Sheen and even Hannibal Lecter himself, Sir Anthony Hopkins. It’s not just the boys. She may be Hollywood royalty nowadays, but we’re pretty sure Catherine Zeta-Jones is still a Mumbles girl at heart. If you’re looking for sea, sand, sun and surf, you don’t need to make the long trip to California. OK, maybe you’ll get a bit more sunshine there, but we’ve got the other three elements in spades. 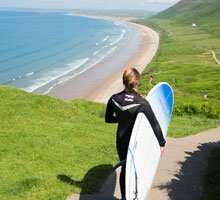 Llangennith on Rhossili Bay has been one of the UK’s top surf spots since the sport made its way over from Australia in the 1950s. It’s also home to living legend Pete ‘PJ’ Jones, owner of the local surf shop and former British and European surfing champion. 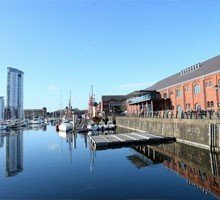 Using 21st-century technology to bring our industrial history to life, the National Waterfront Museum is the jewel in the crown of Swansea’s glittering Maritime Quarter. Hi-tech meets heavy industry in interactive exhibits that transport you through 300 years of innovation, an epic tale of steam, steel, coal and iron. But it’s more than just mighty machines and extreme engineering. You’ll also get hands-on with the human stories, peeking into the lives of the people who powered the Welsh Industrial Revolution. 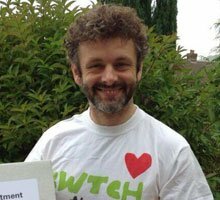 If Swansea looks familiar to you, it’s probably because it’s a regular player in many of your favourite TV shows. 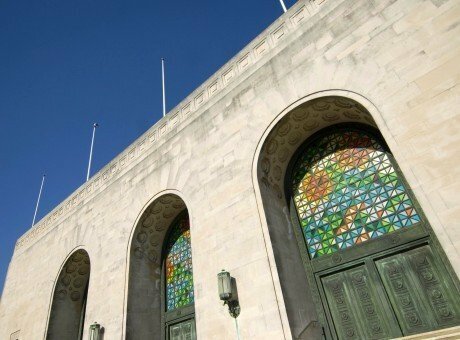 Fantastical drama Da Vinci’s Demons shot three seasons in and around the city, while sci-fi fans will recognise Swansea landmark Brangwyn Hall from episodes of Doctor Who. Super-sleuth Sherlock has also been a visitor, with Swansea Guildhall standing in for the Old Bailey in the episode The Reichenbach Fall. 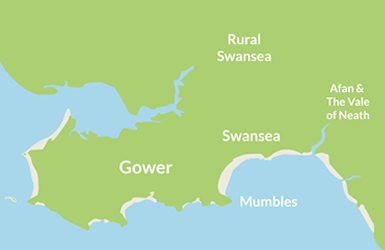 We’ve always known that Swansea Bay was a superstar, but it’s nice to have confirmation. A good pier is an essential ingredient of every proper seaside resort. Mumbles’ peerless pier is a particularly good example. Built in 1898 it has served as a spot for promenading holidaymakers, a base for fishermen, a lifeboat station and a terminal for paddle steamers. 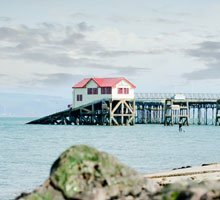 In recent years, the pier has reclaimed its position as a central part of the Mumbles experience, thanks to an extensive renovation that restored it to the height of its Victorian glory. 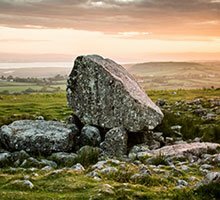 Legends of Britain’s mythical ‘once and future King’ can be found across the country. The story of Arthur’s Stone is ours. It goes that Arthur was walking in Carmarthenshire when he found a pebble in his shoe, which he threw away across the estuary. As it flew, it grew to a massive size before landing in its current position on Gower’s Cefn Bryn common. Archaeologists will tell you that the rocky monument is actually a Neolithic tomb dating back to 2500BC, but we know which story we prefer. Heroic hound Swansea Jack was the ultimate rescue dog. Always ready to respond to distress calls, this canine champion is thought to have saved 27 people from drowning in the River Tawe between 1930 and 1937. 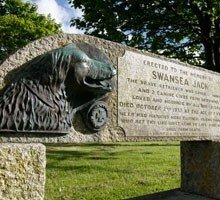 In recognition of his courage, Jack was named Bravest Dog of the Year 1936 by the London Star and is still the only dog to have been awarded two Bronze medals (the canine equivalent of the Victoria Cross) by the Dogs’ Trust. His legend lives on. To this day, Swansea natives are still known by the nickname ‘Jacks’. 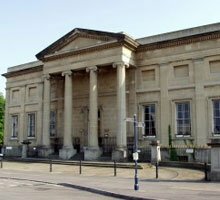 Dating back to 1841, Swansea Museum is the oldest in Wales. Alongside its quirky cornucopia of exhibits – everything from a 2,000-year-old mummy to a traditional Welsh kitchen – the museum is believed to be home to a number of spooks and spectres. Watch out for a ghoulish sailor (from the lightship Helwick, now moored in Swansea Marina) who patrols the staircase and a ghostly little girl known as Sarah who tugs on visitors’ sleeves in search of her lost mother.